One of the reasons I stay away from the nightly news and cables 24/hr channels is the low good-to-bad news ratio. The fact is though, that there is a lot of good news going on out there. So, instead of complaining, I thought I’d copy and post some here! And let me tell you, the woman in this story is amazing! The really brave/possibly stupid thing that most of us would like to think we’d do if we were faced with this type of situation, was the exact thing that this woman did! Bakery owner Leslie Fiet has been selling her cupcakes like crazy ever since she became a local hero. Fiet, who owns Mini’s Cupcakes in Salt Lake City, Utah, didn’t know her act of heroism would have customers lined up outside her door, as reported by ABC News. The even unfolded as Fiet was in her bakery kitchen the afternoon of February 4 preparing for Valentine’s Day orders. According to Hooplaha, an Amber Alert flashed up on her cell phone screen. The 44-year-old mother of two said the alert specifically caught her attention because it mentioned that the child in danger was in a black SUV. Fiet had seen a black SUV parked outside of her bakery, but has originally thought it was someone shopping at the frame store next door to her bakery. Something still prodded her to not ignore her gut feeling and to take the initiative to look outside for a tag number on the black SUV. Fiet describes what she observed to ABC News as she walked to the front entrance of her bakery. Fiet saw 3-year-old abducted Bella through an open window sitting inside the black SUV. Just two hours earlier, around 3 p.m., Bella’s father, Pedro Martinez had stopped at a convenience store about 25 blocks away from Fiet’s bakery. Bella was sleeping inside the SUV, and her father decided not to wake her since he was only running inside the store for a few moments. That was his big mistake. According to Salt Lake South Police Department executive officer Gary Keller, he told ABC News that a woman approached Pedro outside the convenience store asking him for a cigarette. As soon as Pedro stepped inside the store, the woman jumped into Pedro’s SUV and left with Bella still sleeping inside. Knowing she had to act fast, Fiet told ABC 11 that her “mama bear” instinct just kicked in. Fiet describes the next few moments to ABC News, as she made the decision to not wait for police, but to rescue the child herself. Luckily for Fiet and Bella, the suspect, identified as 24-year-old Rosealee Maria Key, was not in the SUV. It took all of 30 seconds for Fiet to free Bella and lock them both inside the cupcake bakery. 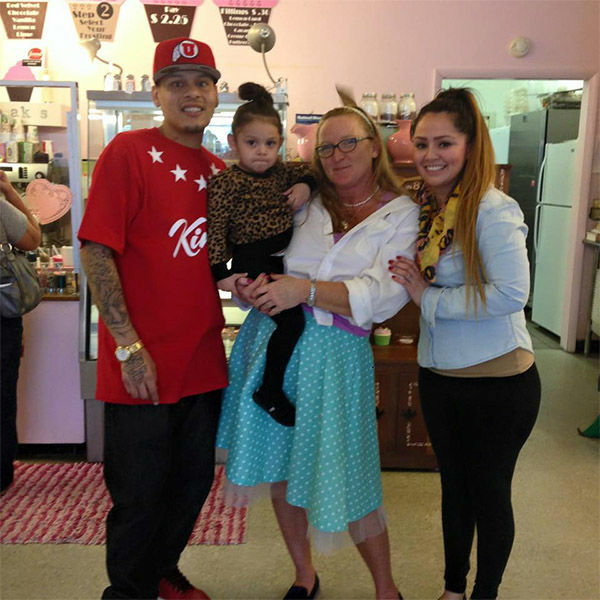 Bella was reunited with her parents about 45 minutes later when the Martinez’s arrived at the bakery with the police chief and several extended family members, who had all been searching the area for the kidnapped 3-year-old. Rosealee Maria Key turned herself into police that same day of February 4 and she was immediately arrested and charged with unauthorized use of a vehicle and child endangerment. The moment was overwhelming for Fiet and Bella’s family as they were reunited inside her bakery. She recalls there being many hugs and thank yous, as well as tears. The very next day, Fiet said she expected to be like any other ordinary day. However, since her story was told on the local radio stations, the lines have been so long in support her her bravery that she says she can’t keep up with the baking and the frosting. While she doesn’t feel like a hero, Bella’s family certainly feels she is. In fact, Bella’s parents brought Fiet a very special present as a thank you for rescuing his daughter, as she reveals to ABC News. Next Don’t Mind Me . . . Just Pulling My Hair Out.